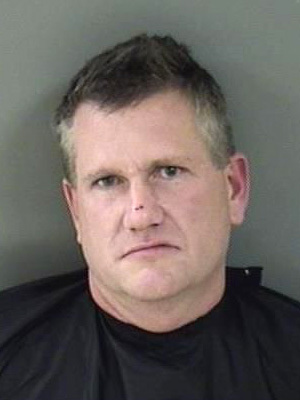 Responding to a phone tip about a drunk driver, two sheriff’s deputies approached Jeffrey MacDonald, 43, as he pulled his Nissan Versa into the driveway of his Vero Beach residence late yesterday afternoon. MacDonald, pictured at right, smelled of alcohol, had “slow and slurred speech,” and was unsteady on his feet, according to an Indian River County Sheriff’s Office report. Subsequent Breathalyzer tests recorded MacDonald’s blood alcohol content at nearly three time times the legal .08 limit. Charged with misdemeanor drunk driving, MacDonald was booked into the county jail around 10 PM. He was released early this morning after posting $1000 bond.